Driven by our spiritual beliefs, we Muslims demonstrated unrelenting dedication, commitment, and sincerity for the full month of Ramadan. We pushed to achieve more in reward by setting and keeping to a discipline without fail for the consecutive 30 days. For most of us, procrastination became a non-issue. We endured physical strain through long prayers, hunger and thirst during the day, and little and interrupted sleep schedules. All in all, we shirked little in stepping out of our comfort zones and though a positive mental attitude, focus and self motivation, not for a moment any of these stresses deterred us from attaining our spiritual goals. Believe it or not – what most of us demonstrated for the full month of Ramadan were traits required to attain personal excellence. People have accomplished more, tackled and resolved the most difficult problems, and become effective leaders by espousing these traits of excellence. Why then, one wonders, do a majority of Muslims fail to achieve the same levels of excellence in other areas of their lives? Why is the plight of Muslims today only mediocre at best? Why do so many Muslims sincere and passionate in their prayers, fasting and other rituals snap out of the spirit of Islam in other aspects of their lives? A chasm obviously exists between how we successfully step up to excel in our religious rituals and how we otherwise choose not to do so in other aspects of our lives. Because if we habitually lived by the same traits of excellence, we would excel more in our careers, learning and education, dealings with people, enjoy exemplary family lives, possess great health and healthy relationships, and dramatically improve all aspects of our lives. If each one of us did their part to drive toward excellence, the plight of Muslims the world over will be much better than what it is today. The answer to this “disconnect” lies deep in our minds and is mostly attributed to our beliefs. Our beliefs ingrained in our psyche, whether spiritual or otherwise, provide us with feelings of certainty and drive us to take the right actions. So, while the strength of our spiritual beliefs drives us to take the right actions and consequently to excel on spiritual fronts (one proof of which we saw in Ramadan), lack of such strength in beliefs related to other areas of our lives keeps us from moving forward. Therefore, when we hold weak beliefs (or none at all) related to our desired actions, we only do the very minimal to get by – a far cry from what is needed to excel in those areas. As a result, we struggle in our relationships, have lower standards of education, pursue mediocre professional careers, struggle with maintaining a healthy lifestyle, and so on. Beliefs propel us to take action that we otherwise would struggle with. For example, how many chain smokers do you know of who can quit smoking for hours during Ramadan, which they are not able to do otherwise? How many brides and grooms do you know of who were able to lose weight a few weeks before their wedding that they otherwise could not do earlier? How many cardiac patients do you know of who were able to alter their diet plans and healthy lifestyles permanently after they endured a serious heart attack? In all such cases, something changes in their minds that make them take full-fledged action without fail. That is the power of beliefs. Righteousness is not that you turn your faces towards the East or the West (in prayers), but righteousness is the one who believes in Allah, the Last Day, the Angels, the Book and the Prophets. [Surah al?Baqarah (2):177]. So, if you have failed to see certain results in any area of your life that is because you must address your underlying beliefs related to what you have been trying to change. Simply forcing yourself to act for the moment can get you only so far. Your beliefs come together through a combination of your experiences, knowledge, and the process of thought and reflection. Such beliefs also strengthen (or weaken) through the interplay of the same three factors. You can probably easily see how the interplay of these three factors have shaped your spiritual beliefs. The exact same applies to other areas of your life as well. We know for example, that some of the beliefs that you develop through your childhood experiences carry forward in your life. Research done over the years has proven conclusively that children who are physically and mentally abused, become desensitized to human feelings, and unless other factors intervene in that upbringing, many such children become criminals. Repetition and intensity of life’s experiences thus plays a major role in building associations in the human mind and forming of various types of beliefs. To have the right beliefs, experience must be coupled with knowledge. A “Superstition” is an example where certain experiences help in the formation of beliefs without the foundations of knowledge. People wrongly associate certain actions (e.g. black cat crossing a path) to certain results (bringing misery). Acquiring knowledge thus can help dissolve those superstitious beliefs. The more we learn about a subject and the more we increase our knowledge, the stronger our beliefs get related to that area and the more it can influence us to take on the right agenda for excellence. For example, if you start to regularly read and learn about maintaining a healthy lifestyle, you will surely become more aware of healthy eating habits, thus dramatically influencing your physical well being. However, it is also important to tap on the right knowledge in firming up our beliefs. In his book, Al-Fawaid, Ibn Qayyim said that any piece of knowledge that does not make faith (belief) stronger is abnormal. Distorted knowledge can help develop misaligned beliefs that can hurt more than it can help. The process of thought and reflection (thinking, pondering, and critical questioning) is the third factor that guides our beliefs to get even more powerful. Investing some time to critically question ourselves, engaging in critical thinking, deep contemplation, examining the facts, putting together our knowledge and experiences, logical reasoning and other such behavior can help in uncovering more wisdom that can feed into the strengthening of our beliefs. The key again is to take the time to engage in such reflection and thought. 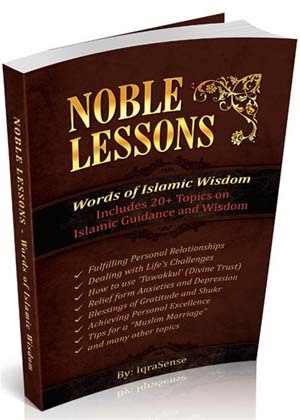 The Quran for example includes numerous verses to guide people to use critical thinking and questioning to help firm their spiritual beliefs. 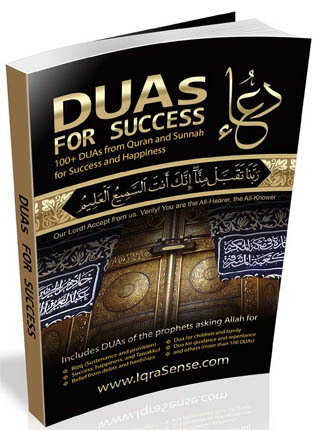 Sura Rahman for example is full of such questioning and critical reasoning verses after each of which Quran states: “Then which of the Blessings of your Lord will you both (jinns and men) deny?” [Sura Rahman]. The bottom line is that we need to develop the right beliefs for the various dimensions of our lives. This also means that we break through any limiting beliefs that may be limiting us from achieving our true potential. Consider the example of a cricket. When a cricket is placed in a closed jar, the cricket jumps and hits his head against the lid. After repeated attempts, if the jar’s lid is opened, the cricket jumps no higher than the jar lid because that’s how his experiences have conditioned him. This can happen to us. Through our experiences if we have been accustomed to do only so much for ourselves and for everyone around us, we may have developed limiting beliefs that keep us from achieving our true potential. Seeking more knowledge and reflecting on it can help reverse this dynamics and propel us on the avenues of excellence. Therefore, as we say goodbye to Ramadan until next year, we need to hang tight to the traits of personal excellence that each one of us demonstrated so passionately during that month and bring them into other areas of our lives by appropriately calibrating our beliefs. Because as we Muslims play the game of LIFE by the rules of Islam, we need to do it properly. Remember – Islam is a COMPLETE way of life and not one limited to the few rituals of praying and fasting. Ramadan helped us brush the dust off of our personal potentials. Given the right set of beliefs, it showed you and me how to excel in certain areas of our lives. There is no reason now to prorcrastinate in espousing those traits of excellence permanently and it’s time that you use that potential in all areas of your life. ASSALAMUALAYKUM! I am very thankful for this. 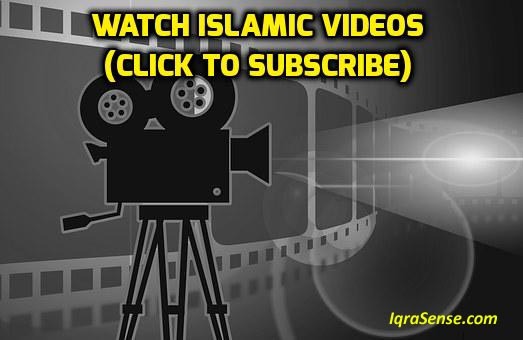 may ALLAH S.W.T bless all of those who created this website who provide us such knowledge and refreshes our imaan may ALLAH S.W.T accepts their work and reward them janahtul firdous and may ALLAH S.W.T be pleased with all of us………. 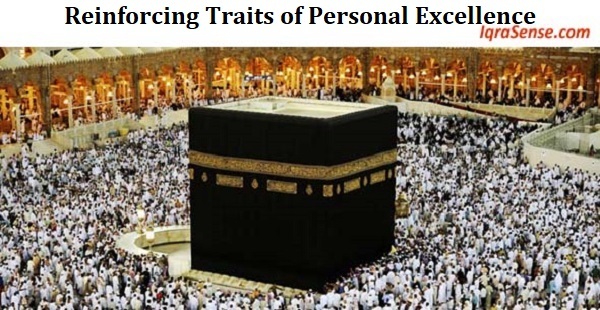 may Allah reward you for this insightful and thought provoking article on traits of Ramadan excellence. This was a good article, it was sort of on time, I’m in my first semester studying at UWM and I have been procrastinating in my studies. This article is a reminder of what I should and want to strive for, That is, excellence! Asalaamo alaikum, So true. Very interesting. Hope we all insha allah continue to do our best always. An excellent article! Thank you and May Allah reward you for it. We need to read pieces like your article to help us get motivated to achieve higher in this world and Aqira. Truly excellent article and timely indeed! Time has come for us to change in ourselves and continue the spirit of Ramadhan…. 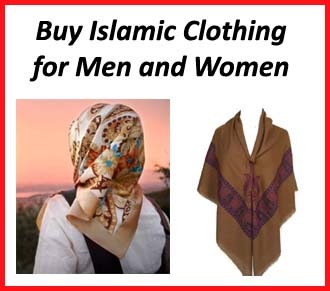 Assalamu alaikum, i found this article and even other articles on the site amazing. You have changed my thinking and even given me what i have been lacking. May Almighty Allah keep His guidance and blessing upon us all. Masha’llah! May Allah Reward you. say that the point about abused children loosing their emotions and becoming criminals is not always true. I know from first hand experience. inshaAllah we will all think with open hearts and minds as this great article tells us as we strive for excellence ameen. Thank you for the artivle. May almighty, compassionate and marciful Allah bless you. This article has been so helpful for me / us. Very good advice for every one indeed. So as a reminder, hope we wont neglect our 6 days saum in shawwal. 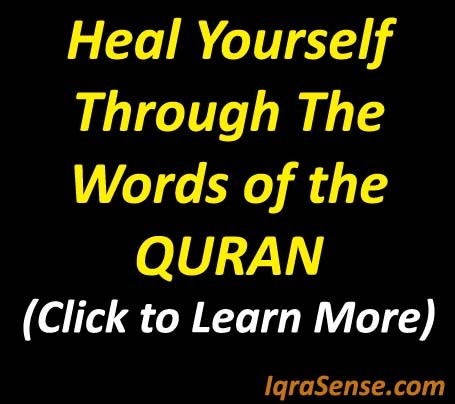 Very useful article reminding believers the essence of Iman and the message of one month long training for purification of our body, mind and soul. Jazakumulaahu Kheran, this was a wonderful article. I’ll make sure to forward it inshaAllah. EXCELLENT!! MASHALLAH! A very useful thought for all Muslim. We need more preaching of islam through the articles like this. The publisher of this website is doing great work. May Allah help him in his way and give him more strength for this great work. This is so wonderful!!! Alhamdulilahi I got this at the very right time when I need it most. It is highly motivating!!! our muslim youth are fast derailing. They probably need access to information like this. Truly, a wonderful article that needs to be appreciated by every muslim. May Allah SW reward you for all your efforts and may all those reading this article and many more adhere to the right path, way of the quran and sunnah InshaAllah. This is a wonderful article. May ALLAH almighty reward you in the hereafter Jannath Ul Firdaus and may all your wishes be fulfilled… Ameen! This is a wonderful piece of work. May Allah (swt) continue to strengthen you in re-fertilizing our souls with worthy articles. However, the best we can do is to start from the family front, let every parent cultivate good Islamic virtues in their children right from the home. May the piety achieved during Ramadan continue to abide with us all. Asslamu alaykum warahamatu llah wabarakatu, This is very good. Allahuma inna kaafuun Tuhibbul afwa faafwana Yaa Karymul Afwa. BEAUTIFUL ARTICLE – VERY INTERESTING – KEEP UP THE GOOD WORK. 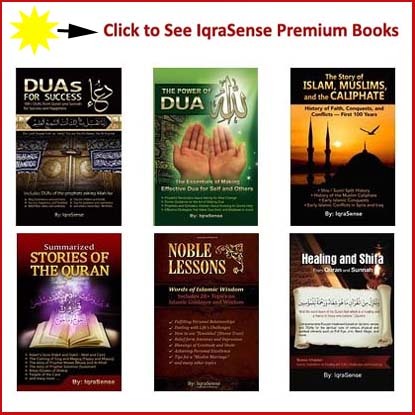 I EMAIL ALL YOUR ARTICLES TO ALL MY BROTHERS AND SISTERS IN ISLAM. May Allah reward this great effort of yours [amin] I hope that the new character acquired from this spiritual excercise remains imputrescible. May we all become the truly best community ever evolved for mankind in all spheres. Am inspirited and enravished by your article. May ALLAH BLESS YOU. 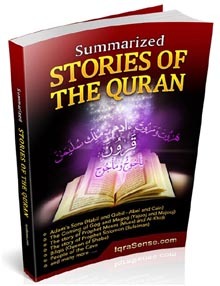 This is quiet informative, illuminating and thought provoking, Jazaakumu-Llaah. This article was pure excellence. Jizaakallaah for the effort to the writer, and jizaakallaah for the understanding of the readers. It’s very refreshing to read these kind of articles. IinshaAllaah this wont be the last one! Thank you very much for the wonderful article. It really enlightens my mind on some things about achieving personal excellence, especially in the spiritual aspect. May the beneficent and merciful ALLAH bless you always. Wassalam! A truly educative and inspiring piece. Pray that more such articles come out regularly as such motivations and insights are what we muslims need in these crucial and interesting times. Keep on and may Allah bless you. Assalaamu alaykum warahmatullaahi wa barakaatuhu. Shukran for this beautiful message,May Allah bless the Muslim Ummah! May Allah increase your courage and raise in status to sustainably continue spreading such kind words to the hearts of believers. I ask Thee to keep u strong in propagating the deen of Allah. Barakallahu Fika!!! Assalamou Alaikoum to all. This is exactly what we need to know. Islam perfectly conveys that sense of equilibrium in all aspects of our life. To take a simple instance: our Prophet (SAWS) was a very good husband, a sound trader and an outstanding Man of GOD. He strived to balance all aspects of his life to stand as our best model. May ALLAH (SWT) be pleased and reward all attempts to infuse knowledge inside the muslim community. Assalamou Alaikoum to all. Excellent piece of information. Would like to see more information on self recognition and self descipline. 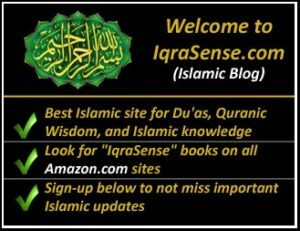 My appreciation to IqraSense.com for this article. This is a good deed that others should follow. Thank you for this wonderful article. May ALLAH bless you. Mashallah Tabarakallah wa la haula wala quata illa billah!! What a beautiful article!! Keep up the good work!! Jazakhumullah khaeran. May almighty God continue to strenghten our faith. This article is just timely! 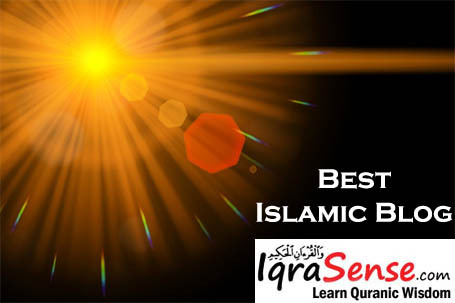 May ALLAH S.W.T bless all of those who created this website who provide us such knowledge and refreshes our imaan may ALLAH S.W.T accepts their work , reward them and may ALLAH S.W.T be pleased with all of us………. i say jazakumulah khairan to the brother who took his time to educate and encouraage us on this noble path. may Allah reward him. amin. Love the analogy. Very true. Thanks for such an inspiring article. May Allah continue to reward you for all your good works in educating us. Jazakallahu Hairan. Shukran. May Allah (SWT) reward you in this life and the hereafter. It came at the right time. Thought provoking especially the various examples. This article really helped me, i was so depressed for the past months thinking what is wrong with me, why am i like this and where do i go from here in my life. I so want to excel in my life but something is just pulling me down and i dont know what it was until i read this article. Thank you so much. We are so blessed, Allah is always guiding us…thank you Allah you have been nothing but merciful and beautiful. It is me who is destroying my life. Thank you Allah. 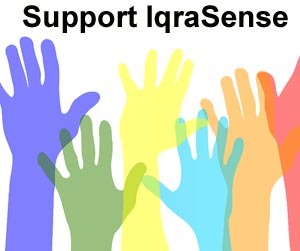 thank you iqrasense. Please write more of this type of articles…..
excellent & encouraging ;full of guidance.Please keep it up. 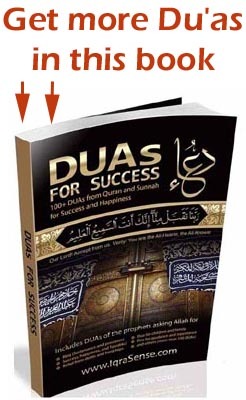 It will b a positive force to achieve success in our lives;come up 2 the Divine expectations.Jazakumullah khairan. urs brotherly. President Obama’s Video Message to Muslims for Ramadan 2009!